Jacques Mostert - Brand Ambassador, Andrew Rowan - Managing Director, Ruan Joubert - Technical Director. 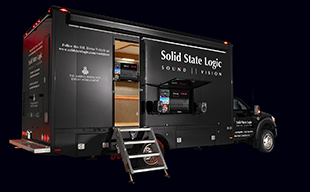 LONDON, ENGLAND Solid State Logic are proud to announce Surgesound as their new live market partner in South Africa. With a roster of impressive projects and clients, the team at Surgesound have been providing high-end live solutions for tours, concerts, churches and venues across the region. Jonathan Attard, Area Sales Manager for SSL, is convinced the company has now found the ideal partner to develop new business in the region. "Our Live range fits perfectly with the other brands managed by Surgesound” adds Jonathan. “Moreover, they have the field experience and technical know how to make any client feel at ease. This is why Surgesound was clearly the right partner for us in South Africa."